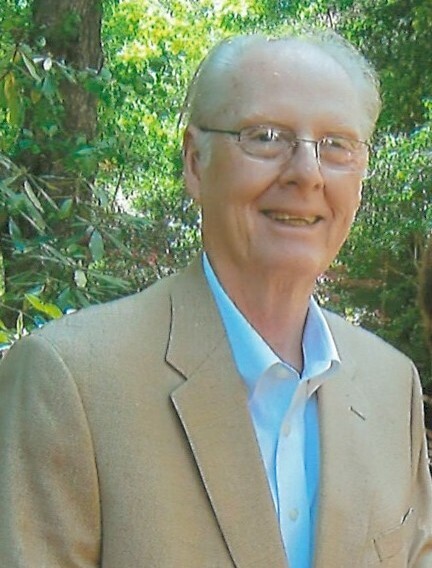 Fred James Plimpton, III, 74, of Asheville, NC, died Friday, January 25, 2019, at Mission Saint Joseph’s Hospital. Fred was born on February 22, 1944 in Brooklyn, NY, to the late Lee Brunner Plimpton and Fred James Plimpton, Jr. He was married to his wife of 51 years, the Rev. Barbara W. Plimpton. Fred served his country proudly in the U.S. Air Force during the Vietnam conflict. He received a bachelor’s degree from Boston University and obtained an archival studies certificate from the University of Denver in Colorado. He was an archivist for the state of Colorado and administrator of Nutrition at Southern Maine Agency on Aging and executive director of Vision in Asheville. Fred served two terms on the board of Asheville Chamber Music Series and served on the Vestries of St. Luke’s Cathedral in Portland, ME and St. George Episcopal Church in West Asheville. He volunteered and served as a board member at the Rathbun Center in Asheville and served as chair of the Outreach Committee of All Soul’s Cathedral in Asheville. He loved hiking in the Rocky Mountains, camping, kayaking, bird watching, swimming, skiing, and playing Bridge. He loved people and was committed to social justice. Fred was a kind, generous man who walked gently on this earth. A celebration of life service will be held at 2:30 p.m., Saturday, February 9, 2019 at the St. Giles Chapel of Deerfield Episcopal Retirement Center in Asheville. Memorial contributions may be made to All Souls Cathedral Outreach. The family wishes to extend a special thanks to the employees of the Charles F. George VA Medical Center who provided tender and expert care. Online condolences may be shared with the family at www.ashevillemortuaryservices.com.